The university is one of the prioritised universities for providing education in the field of Arts and Science. Studying in these universities you will experience wide technologies that make you stand successful in your career. 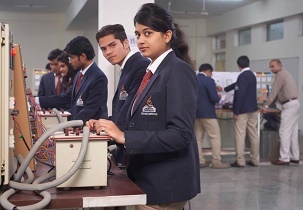 The centre is known for its successful management and innovative technologies. It provides world-class education, multidisciplinary studies and leading resources. 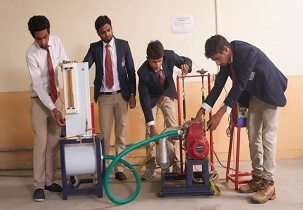 The programs are taught and designed by experts to encourage their innovation to ensure students are set to their work life and able to face the challenges. The support and connections will help you to get recognised and succeed you to reach the goal and guide you in each and every step of student’s journey. The institute offers various programs in undergraduate and post graduate courses. Each course offers different fee structures depending on the programs chosen by the student. They have specialisation under each program to choose what they are interested in. The cut-offs are required for the beneficial of the students regardless of their background. The cut-offs are divided based on category and ranks from entrance exams. To take admission in MBA candidate must have acceptable score in CAT/UPSEE-MBA/MAT for the eligibility. The student must have appeared for JEE Main entrance exams to get into B.Tech. And the ranks secured in these exams have cut-offs and will be counted for the eligibility. 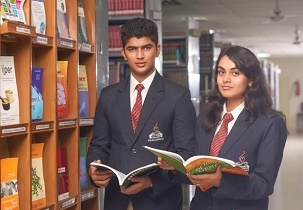 The university has co-ordinated with various non-profits, govt. agencies, companies and law firms so that students make use of it by attending summer intern where they get a start to the learning skills which they require in the beginning of their career. The factors includes that they mentor, institutionalized and provides flexibility in their academics which includes internships in the timetable. The top MNCs you will be recruited is for INFOSYS, GOOGLE, UNISYS, IDEA, GENPACT, HP, ITC, HCL, WIPRO ETC. Hostel gives accommodation for both girls and boys and provided with very clean and hygiene mess. The mess provides nutritious food along with variety of food. They have the facilities like 24/7 hot water, drinking water purifier, common washing area and cupboard, bed, study table and chair for each individual. Fee varies as there are options as attached and non-attached, 2 and 3 seated rooms depending on the rooms chosen by the student fee differs. Hi..... this is to request you that...please comnfirm the process of mba admission......? Process of M.B.A admission Candidates must have appeared the entrance exam of CAT/MAT/UPTU/MUCAT in any one of them. Candidate need to fill the online application form with all the required documents. The application form costs Rs.500/-. I wanna take admission in breach biotechnology? Candidate need to fill the online application form available in the college website by uploading all the required documents. The application form costs Rs.500/-. 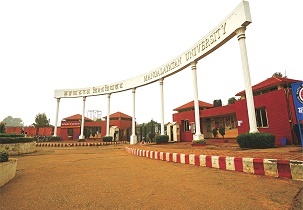 Fees in Mangalayatan University is Rs.1,45,000 per year. Tell mee about full detail of lateral entry in btech ECE? Are you Interested inMangalayatan University"? Please provide the following details.